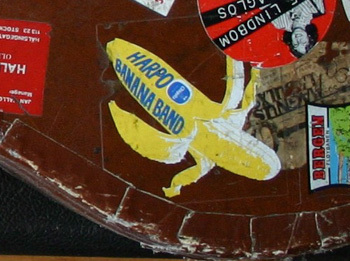 Harpo Banana Band was a happy time. 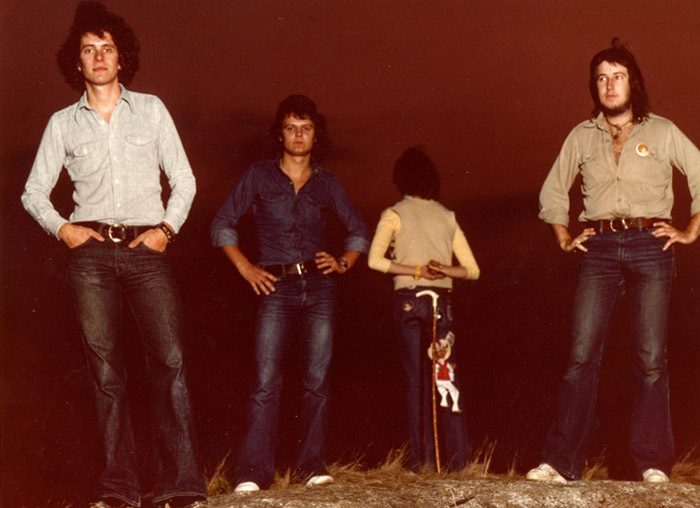 I was in the band 1974 - 1977. We toured the Swedish "folkparks". 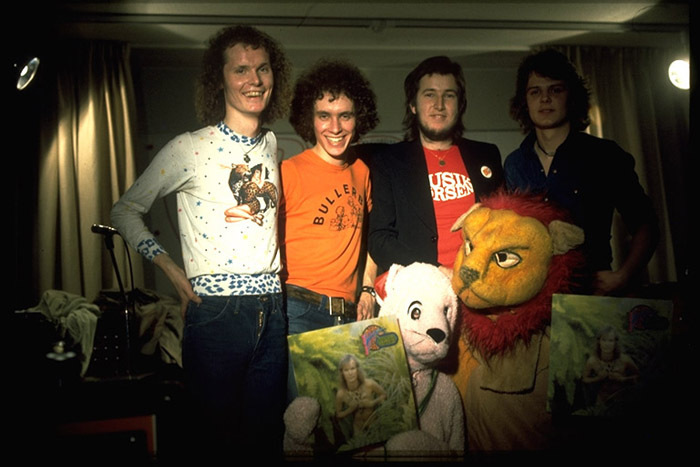 One summer we toured with Harpo and Ted Gärdestad - we did 112 gigs in one summer. Some nights 2 shows a night and we even did 3 shows on the same night. Every show was in a new place..
We recorded some albums. We did one that did really well, but at the same time Harpo got his huge European hit "Moviestar" and he disappeared out in Europe to work on that career. In the image you also see the kangoroo that used to appear dancing in the show. Often that was Carina. I don't remember the lion. We had this great idea for an album cover that the photos should be shot in the sunset with the beautiful sun in the background. However, the photografer was late, and he missed the sunset.. But the photos were ok anyway.